Hommocks Park Ice Rink is an enclosed public ice skating facility that offers fun for the entire family. Take the opportunity to learn to skate, play hockey or sharpen your skills. 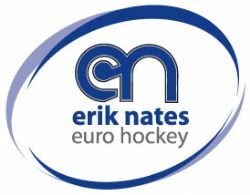 RinkAtlas.com provides maps and door-to-door directions to ice rinks in North America. High School Hockey resource for all of WRPDIIHL. This web page contains a list of websites of teams that are in the HVHL. This web page contains a list of websites of teams that are in the LIAHL. This page serves as the start for all things related to USA Hockey's Coaching Education Program.